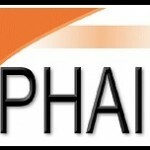 PHAI has published this practice guide to help plaintiffs’ attorneys understand the some of the value of the judge’s decision in the U.S. Department of Justice’s racketeering suit against the major American cigarette manufacturers for private practice. It highlights the ways in which attorneys may use this opinion in their future claims against “big tobacco” while pointing out areas in which its use may be problematic. It also provides a helpful list of online resources related to the case. Potential Master Settlement Agreement Violations Evidenced in Judge Kessler’s Findings in USA v. Philip Morris USA, Inc., et al. The Weakening of RICO’s Remedies Provision: Analysis of the Appeals Court’s Decision in USA v. Philip Morris USA, Inc., et al.